As a licensed attorney in both Missouri and Illinois, Erin utilizes her extensive background in real estate law to advise clients through complex real estate decisions. With her experience and education, Erin’s documented approach ensures all the details of her clients’ real estate strategies are thoroughly reviewed, revised and reworked to obtain optimal results. Erin works with the Colliers St. Louis Investment Team, helping clients achieve maximum results for investment and net lease property. She’s an up-and-comer in the St. Louis market and has already earned a reputation for strong customer service and project delivery. Prior to joining the brokerage team at Colliers, Erin began her career as a real estate attorney. She worked on a number of complicated real estate issues involving eminent domain, appraisals/valuations, relocation issues, property disposition and acquisition, zoning and land use as well as lease drafting, negotiations and disputes for her clients. Erin is currently active with three industry organizations - Commercial Real Estate Women (CREW-St. Louis) and St. Louis Association of Realtors - Commercial Division (SLAR) and CCIM-St. Louis. Erin currently co-chairs CREW-St. Louis’ Membership Committee and is a board member of SLAR and CCIM. All leadership positions focus around education and advocacy to help advance careers and provide opportunities for growth in the commercial real estate industry. Joe has focused his expertise on providing comprehensive investment services for investor clients. Advising specifically on acquisition and disposition transactions for clients ranging from local, single property owners to large REITs and Fortune 100 companies, Joe has become a principal player in the regional investment market. As a member of Colliers Asset Resolution Team (CART), Joe also works with lenders, receivers, and asset managers in re-positioning and/or disposition of distressed and underutilized real estate. With a background in appraisal and real estate valuation, Joe has an in-depth knowledge of all asset types and has guided clients through many challenging matters involving property ROI. He has a thorough understanding of financial modeling including the use of Argus software, which has benefitted clients immensely when needing cash flow and feasibility analysis, guidance on operating budgets and overall strategic planning solutions. 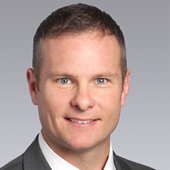 Prior to joining Colliers, Joe was a Director at Gateway Commercial, an affiliate of Cushman & Wakefield in St. Louis. Before his time at Gateway, Joe worked in industrial sales and leasing for Block Hawley Commercial Real Estate, as a brokerage associate for Coldwell Banker Commercial, and as an appraiser at R.A. Buckles and Associates. Joe's certifications and memberships include CCIM, LEED AP, and Urban Land Institute. He’s also a past nationally-ranked competitive road cyclist and is a former board member for Trailnet in St. Louis. Since 1974, Dennis has been actively involved in the commercial real estate business working as an appraiser, property manager, broker and consultant. With this eclectic background, Dennis serves both occupier and investor clients leading them through complex leasing and sales transactions. As an Executive Vice President with Colliers St. Louis, his experienced, results-driven approach has made him a trusted leader and advisor for clients and colleagues. Concentrating his efforts on the local office market, Dennis has advised clients through some of the largest transactions in the St. Louis region. He’s received several accolades throughout his career and continues to be an industry leader due to his energy, creativity and market insight. Prior to joining Colliers, Dennis was Senior Director and Principal at Gateway Commercial, an affiliate of Cushman & Wakefield in St. Louis. 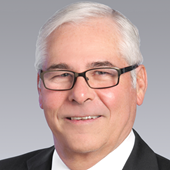 During his time at Gateway, Dennis worked with a number of large, investor and occupier clients such as Ernst & Young, Pfizer, Jacobs Engineering, BJC Health System, RREEF, TIAA, FedEx, Centene, GMAC, Citicorp Real Estate Inc., and THF Realty. He’s worked on investment sales, disposition and leasing and tenant representation assignments ranging in size and complexity. In addition to his industry involvement, Dennis contributes his time and talents to various community organizations. He’s a past board member of the White House Retreat, Chesterfield Arts Board, Missouri Growth Association and currently serves on the Real Estate Finance Committee of the Archdiocese of St. Louis.